The issue of plagiarism is not not new in India cinema. It has been plaguing the industry for a long time. The writers often have a tough time trying to deal with it. Often they easily surrender, fearing that it may hamper their prospects. On those rare occasions when they do put up a fight they settle for minor monetary compensations. 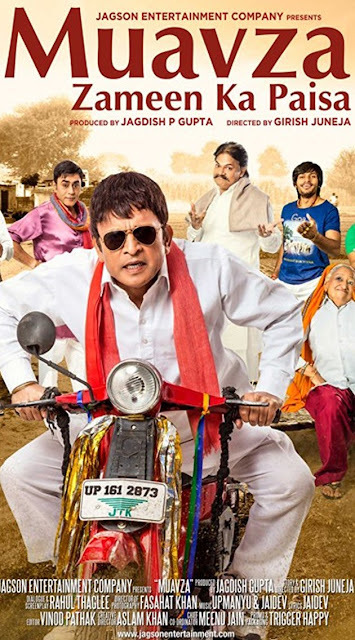 One issue of plagiarism cropped up recently with journalist-filmmaker Atul Gangwar choosing to take the fight to the makers of the upcoming film Muavza, starring the likes of Annu Kapoor, Akhilendra Mishra, and Pankaj Berry. Atul initially approached the makers seeking a mutual agreement but when his efforts failed he approached the association of film writers. But when all his efforts failed he finally approached the court. In its verdict on the matter, the court has instructed the makers of Muavza to add 'Based on a Story by Atul Gangwar' along with the title. The film releases on October 6, 2017. Gangwar's victory shouldn't be seen as a one-off event. It should be seen as a crushing blow to the very mindset that dares to take the right of the writers for granted. Hopefully, this will encourage other writer to stand up for their rights as well.